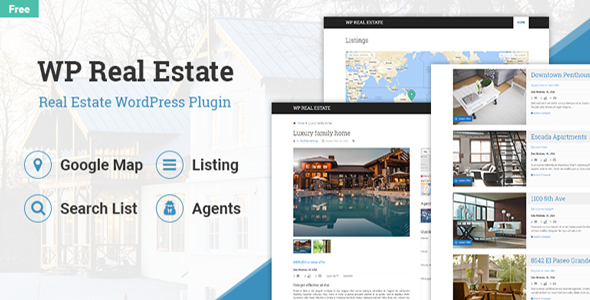 WP Real Estate is a professional WordPress add-on that can be used on unlimited websites. It is ideal for real estate agents, property brokers and property owners who wish to build websites listing various properties. It provides users with a quick and ready solution to build a professional realty website at zero cost!